A great ride for first timers and novice riders. 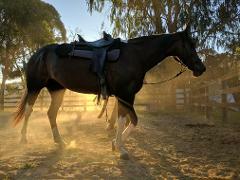 Our team of experienced staff and quality horses will take you on a ride to remember. The perfect ride during the heat of Summer, arrive back to the stables in the stunning evening light and cool mountain breeze (hopefully!) 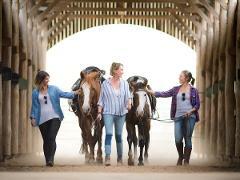 Our team of experienced staff and quality horses will take you on a ride to remember. The mountain valleys of North East Victoria abound with colourful bird life, majestic views, lush pastures and a delightful climate. 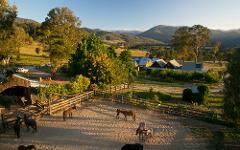 Bogong Horseback Adventures offer day rides in the heart of the High Country. 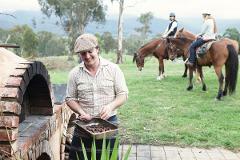 Bogong Horseback Adventures offers day riding activities in the lower levels of the Alpine National Park. This ride includes lunch at the newly opened Spring Spur Riders Lounge. Enjoy a full day of riding the beautiful tracks of the Alpine National Park through tall mountain forests, fern gullies & river crossings. Take a break for a bush picnic lunch by a mountain stream before making you way back to the stables. Bogong Horseback Adventures offer a morning trail ride into the Alpine National Park, on our renowned home bred Australian Stock horses. Returning to a delicious homestead lunch inspired by our harvest garden.